This article was originally published on politcs.co.uk on February 14th, 2018. The main point of interest in the Telegraph‘s recent attack on philanthropist George Soros is not whether its authors are antisemitic, but what it tells us about the growth of the paranoid style in British politics. 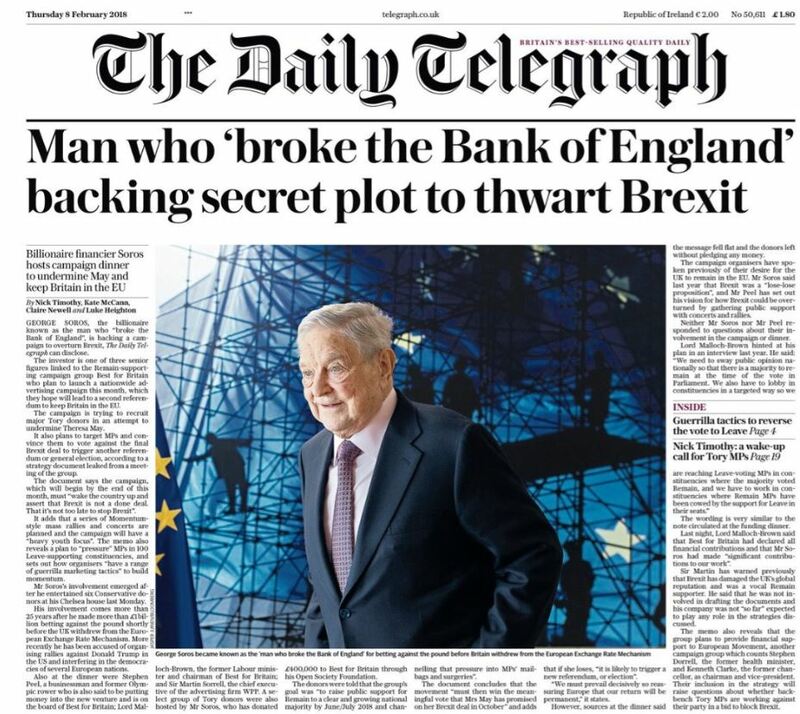 While it is quite odd to see the newspapers warning of a “secret plot” by a left-wing Jewish financier to subvert the national will, it’s not as odd as it should be. If we zoom out, we can see that this story is of a piece, and that the notion of a hidden power pulling strings has become increasingly popular.